Hyper-V WindowsServer 2012 R2 came up with a new function Online VHDX Resize that allows dynamic VHDX resizing of the working virtual machine (i.e. online). Online VHDX Resize allows both to extend and to compact a virtual disk. In this article we’ll deal with the features of this technology and its limitations. It is possible to change the disk size (including the system disk of the guest OS) on-wire with no need to turn off the virtual machine. 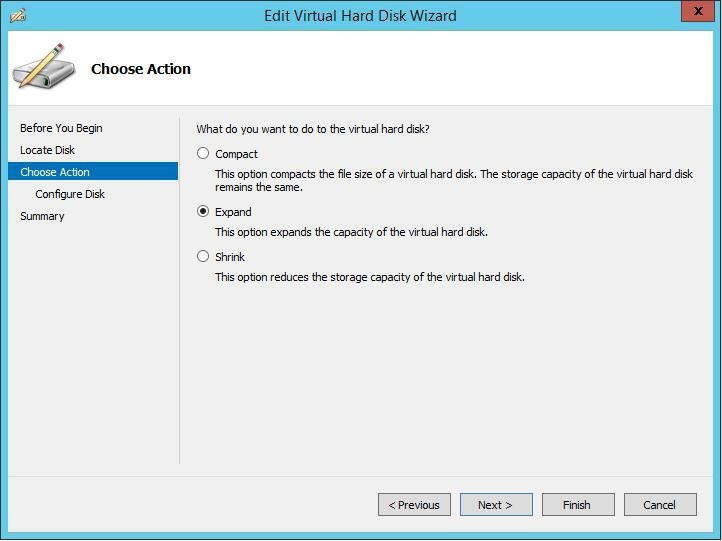 Online VHDX Resize works both on the first and the second generation of virtual machines Hyper-V. Both Windows and Linux can act as a guest OS. Both extension and shrinking of virtual disks are supported. First of all, we’ll consider the requirements to be observed to successfully resize the virtual disk on-the-fly. 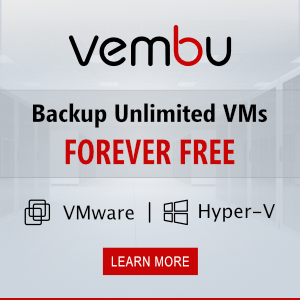 Let’s describe the procedure of VHDX extension in detail. Choose the virtual machine in the virtual machine manager Hyper-V and go to its settings (Settings). Choose the virtual disk and click the Edit button. 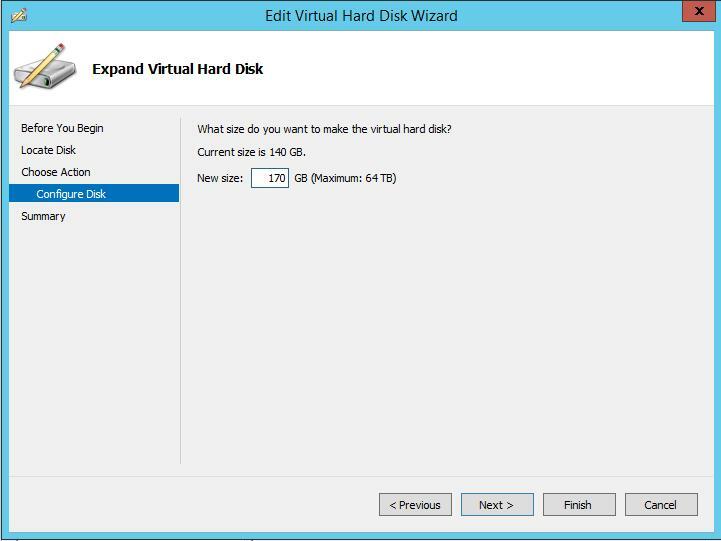 Specify the new size of the virtual hard disk (in our example we’ll expand the disk size to 170 GB). Go to the console of the guest OS, which disk was extended. Open the console of the Disk Manager. As you can see, extra 42 GB of unallocated space appeared in the system. Right-click the partition you want to extend and choose Extend Volume, then specify the size of its extension due to the unallocated space. After completing the Extend procedure, the disk size will be increased. Let’s move on to the description of the VHDX shrinking. Before shrinking the virtual disk, you should “cut a piece” from one of the volumes, thus making some space unallocated. To do it, open the Disk Manager of the guest OS, select a volume and click Shrink Volume. Note. Shrink Volume becomes available only if there is some free space on the disk. Specify the amount of space to shrink the partition by (in our example we specified 50GB). After the partition of the guest OS has been shrunk, go to the settings in the Hyper-V console and click the Edit button again. Click Shrink in the wizard and specify the amount of space to shrink the VHDX file. Note. Earlier the cmdlet resize-vhd was used to resize the virtual disks. However, the virtual machine had to be turned off. How to shrink vhdx with IDE controller ?